This tour is on join in basis and you have to share the bus and guide with other tourists. The tour will be operated on the fixed dates specified on our website and be conducted exactly in accordance with the itinerary. By joining this kind of tour, you will enjoy the best service with very reasonable price, while making friends with the people from all over the world. Buffet breakfast at hotel. Full day city excursion to Tiananmen Square-the largest square in the world, Forbidden City-imperial palace of Ming and Qing Dynasty, and Temple of Heaven-here ancient emperors prayed for good harvest, you will have a chance to practice Chinese Taijiquan for one hour assisting by our skillful coach. Lunch at good local Peking Roasted Duck restaurants. 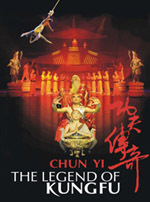 You can choose the Chinese Kungfu show as optional in the evening. Buffet breakfast at hotel, then explore old town of Beijing(visit Hutong by rickshaw), lunch at the Hutong family followed by transfer to the Railway Station to catch the High-speed Train(Second Seater, about 5 hours) to Xian-the ancient capital of China. Upon arrival meet and transfer the hotel. Buffet breakfast at hotel. Full day excursion to world famous Terracotta Warriors and Horses with circle movie showed before returning to the city for visit of thebig wild Goose Pagoda and the Courtyard of Family Gao with Shadow Puppet Show enjoying. Lunch at good local restaurant. 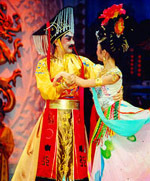 You can choose the Tang Dynasty Dinner Show as optional in the evening(highly recommended, as it is the best show in China). The Big wild Goose Pagoda: It is one of the city’s most distinctive and outstanding landmarks, possibly the most beautiful building left in Xi’an today. Buffet breakfast at hotel. 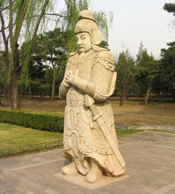 then visit Shaanxi Historical Museum, Ancient City Wall. Dumpling Lunch at a good dumpling restaurant followed by transfer to the airport for flight to Guilin. Meet and transfer to your hotel. Buffet breakfast at hotel. Enjoy the Li River cruise with lunch on board. The ship will disembark in Yangshuo. Stroll at the famous West Street-where you could buy some small souvenirs for relatives and friends. Overnight in the Yangshuo. Buffet breakfast at hotel. Enjoy this day at your leisure. You can choose full day cycling tour in Yangshuo to explore the beautiful town with unrivalled scenery or stroll in the beautiful old town. Buffet breakfast at hotel, then transfer to Guilin to visit Elephant Trunk Hill and the Reed Flute Cave. Lunch at good local restaurant followed by transfer to the airport for flight to next destination. Important Note: The above price is quoted in Chinese currency RMB. Currently the exchange rate between USD and RMB is 1:6.9, you can easily convert our price into USD. But we are unable to forecast the exchange rate in the future, so we will charge foreign currency based on the latest rate when you are going to settle the payment. 1) The prices listed include a discount for cash payment either by wire transfer , for any other type of payment, the discount price may not apply and subject to surcharge.